Create a dynamically filtered portal with multiple filter criteria. With two (or more) global fields, portal filtering, a script trigger calling a simple script to refresh the page, you have a dynamically filtered portal with multiple filter criteria that updates as you type. Note: This article builds on a previous article, Dynamic Portal Filtering While You Type. It’s recommended that you read that article first if you haven’t already. Create the global search fields. Create the script (6 or more script steps depending on number of criteria). This step is almost exactly the same as Step One in Dynamic Portal Filtering While You Type. Except that you will create one global search field for each filter criteria. Alternatively, you can create a single search field with multiple repetitions. This step is exactly the same as Step Two in Dynamic Portal Filtering While You Type. If you have already created this function in your solution, you can skip this step. The calculation will be an expanded version of the one in Step Three in Dynamic Portal Filtering While You Type. You will expand this calculation by adding a conditional statement for each of the filter fields and join all of these statements with the “and” operator. So, the entire expression will only evaluate to true if all filters contain a match. The screen shot at the beginning of this article shows a portal of tasks with dynamic filter criteria to filter results by project status (a popup menu with fixed values) and an open text field which searches multiple fields. We will assume that the pop-up menu field is named Globals::Search_Status and the text field is named Globals::Search_Text. 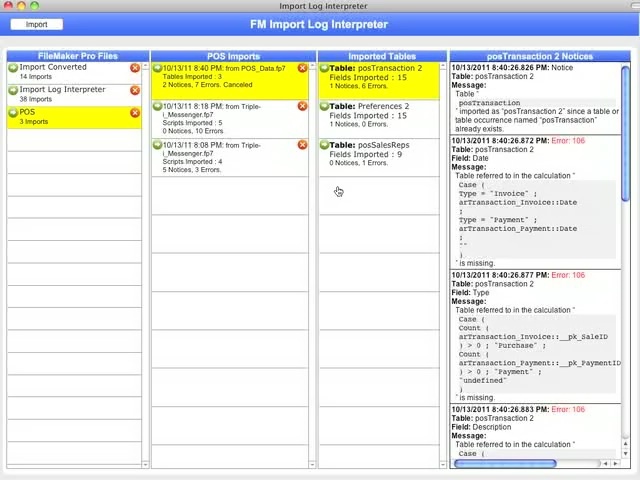 In this case, we will want our filter calculation to evaluate to true if the Globals::Search_Status field exactly matches our status field in the task table (Task::Status), and our Globals::Search_Text field matches one of the words in the task title (Task::Title) or the task description (Task::Description). Notice the use of the IsEmpty function to effectively ignore the filter if it is empty. The result is that if the filters are empty, we will see all of the records. Or if, for instance, Globals::Search_Status is set to “Open” and Globals::Search_Text is empty, we will see all task records with a status of open. Taking the above example one step further, lets say we want to have a popup menu for status, and separate search fields for task name and task description. With three filter criteria, we simply add another global field, and add another expression to our portal filter calculation. Starting with the script we created in Step Four in Dynamic Portal Filtering While You Type, we will add support for a script parameter that indicates which field we are typing in. Then at the end of the script, we go back to the appropriate field. Notice that we don’t do anything special if we’re editing the Status filter criteria. Since it is a pop-up menu, there is no cursor position to return to. As with all the other steps, we will start with the trigger we created in Step Five in Dynamic Portal Filtering While You Type. We will do this with each of the search criteria fields. In addition, we will include the script parameter indicating which field we are in. Right click on the search field to get the “Set Script Triggers” window. Check the OnObject Modify and/or select it and click the “Select…” button, and the “Specify Script” dialog will appear. Select the script you created in Step Four and enter your script parameter in the “Optional script parameter:” field. Now you can search for data in your portal using multiple criteria and have results appear while you are typing. Prior to FileMaker 11, portal filters were generally built using relationships (see Google-Like Searches Through Relationship Filtering). These tended to be more complex and difficult to build, and they had some serious limitations that can now be transcended with FileMaker 11 Portal Filters as outlined in this article. However, they had one advantage: they took advantage of FileMaker Pro’s built in indexes to retrieve the appropriate results. 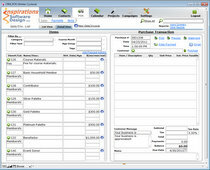 With portal filters, FileMaker is checking each related record individually and applying the filter criteria to it. In cases where there are very large numbers of related records and/or the portal filter calculation is very complex, you may notice some performance issues. Implement the Delayed Search For Fast Typing discussed in the previous article. This entry was written by Danny, posted on October 11, 2010 at 11:01 pm, and filed under Recursion, Relationships, Script Triggers, Scripting, Search Tips. I find these tutorials really helpful. this is really slow and unusable in my solution. As u said the fields will not be indexed in a portal. Any idea? from minimum price to maximum price. For exempla: show all the record that costs more than €1,00 and less than €15,00. 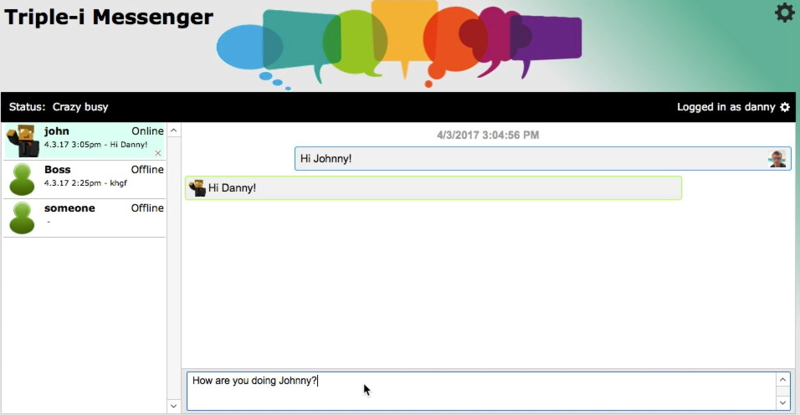 @fastserv – Number ranges are actually easier to implement than the text filtering described in this article. You don’t need the custom function for that. You would need two global number fields. The filter calculation would be something like this: table1::cost ≥ globals::filter_minimum and table1::cost ≤ globals::filter_maximum. If you want it to show all records when the fields are empty, add an if statement that evaluates to true if the fields are empty. The script is wonderful thanks Danny! Is wildcard search also applicable? Exactly the type of ‘Filter’ and ‘Search’ capability i was attempting to implement. Thank you !